Rare. Endangered. Beautiful. Carefully monitored. The Whooping Crane population of the Aransas – Wood Buffalo corridor is the last remaining migratory sedge of cranes that is also self-sustaining. Unfortunately, their adult size – standing heights of 1.5 meters (5 feet) with wingspans of 2.3 meters (7.5 feet) – have made them easy targets for hunters. From their summer nesting grounds in Wood Buffalo National Park of Canada in northeastern Alberta and southern Northwest Territories all the way down to Aransas National Wildlife Refuge on the Gulf Coast of Texas, the whooping cranes migrate through many protected sites in both countries. 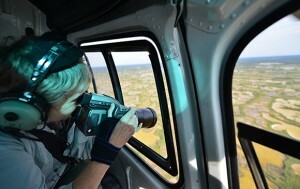 Dr Roberta Bondar photographs whoopers from helicopter at Wood Buffalo NP. 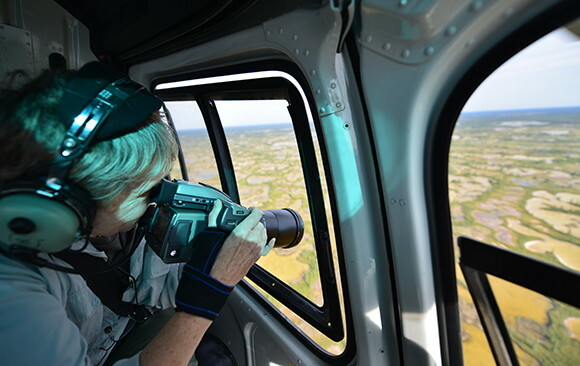 This article on vulnerable habitat describes how the latest conditions of drought and fire impact the Wood Buffalo National Park’s whooping cranes and disrupt their breeding areas. Within the U.S. Fish and Wildlife Service, the Aransas NWR forms part of a national network of lands and waters set aside and managed to conserve America’s fish, wildlife, and plants. The mission of this Whooping Crane preservation organization is “to help preserve and protect the Aransas/Wood Buffalo population of wild whooping cranes and their habitat.” That’s a lot of territory to cover! Neat Whooper ID section illustrates differences between Whoopers and other large cranes and seabirds and also includes a detailed checklist. A photo gallery includes Whoopers in various life stages, stalking, feeding, and flying. A special “Ask Dr Felipe” feature allows access to FOTWW’s Science Advisor, Dr. Felipe Chavez-Ramirez, PhD. This cooperative venture between the Canadian Wildlife Service and the Canadian Wildlife Federation specializes in Canadian wildlife – from birds to bears to bees to bog willow to basking sharks. And grows more comprehensive daily. The Whooping Crane entry holds downloadable fact sheet, flight silhouette, map, food and breeding facts, plus a set of boxed links that discuss wetlands value and how individuals can help. The online bird reference of The Cornell Lab of Ornithology, a specialized unit of Cornell University, in New York State. 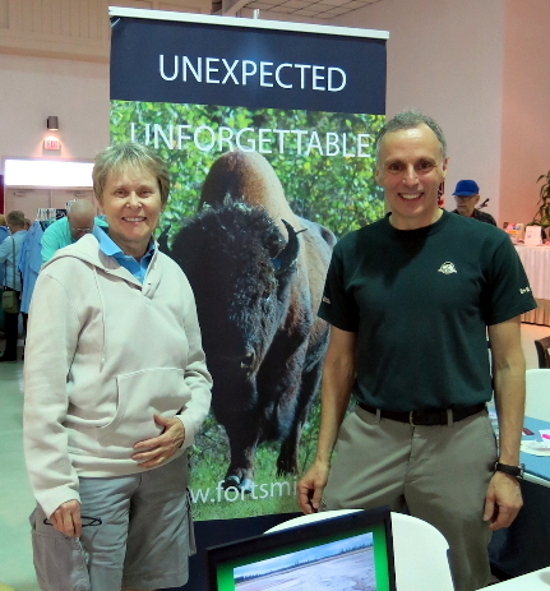 Research, education, and citizen science focused on birds. Excellent resource for North American bird study and online bird courses. The Whooper page contains sound file, migratory route maps, and cool Life History facts. A specialized site that features all crane species around the world. Founded by Cornell ornithology graduates. Many valuable resources here. The Whooping Crane page includes fact sheets, downloadable images, range map, sound files, special rearing and releasing anecdotes and ICF programs. 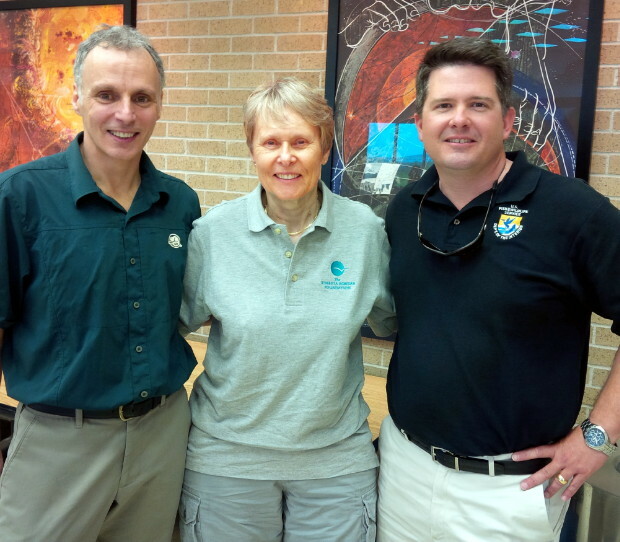 Go to The Roberta Bondar Foundation International Field Work page.